It’s a sad story that Rotterdam has in its heart. If you visit Amsterdam and then Rotterdam you will notice a big difference that is not easy to understand. Why Amsterdam has such an old historical city center and the big harbor (Rotterdam) not ? What happened ? Well, the story goes back in time in 1940 when the medieval center of Rotterdam was bombed and completely destroyed by the Nazis in their attempt to control the harbor of Rotterdam. Rotterdam Blitz was the name for the German attack over the Rotterdam center; it starts on 14 may 1940 and practically erased the historical center of Rotterdam. The scale of destruction is easy to understand if we see that almost 25,000 houses, 24 churches, 2,320 stores, 775 warehouses and 62 schools were vanished. After this horror situation, the Nazis requested the Dutch’s capitulation, threatening that otherwise the same “treatment” will be applied for Utrecht. Because of the unequal military balance between them and the Germans, the Dutches decided to surrender and avoid the destruction of another city. But the heaviest bombardment on the city of Rotterdam, after the one by the Luftwaffe of 14 May 1940, was by US air force on 31 March 1943. American bombers attacked harbor facilities in the west of Rotterdam. This bombardment was later called the “Forgotten Bombardment”. 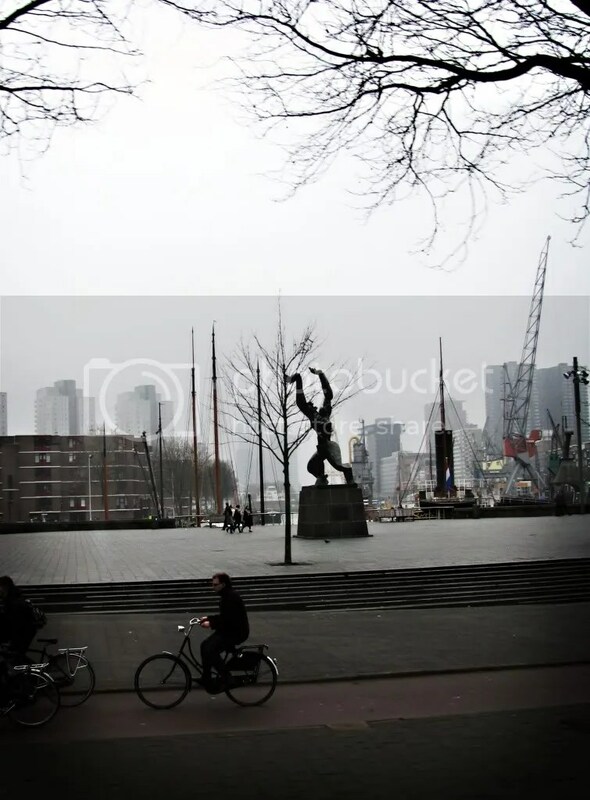 In the center of Rotterdam has been built a symbolic statue of a man without heart trying desperately to defend himself against the bombs only with empty hands. This statue symbolizes the city without historical center (the hole where the heart should be) trying to oppose to the falling bombs from the sky. 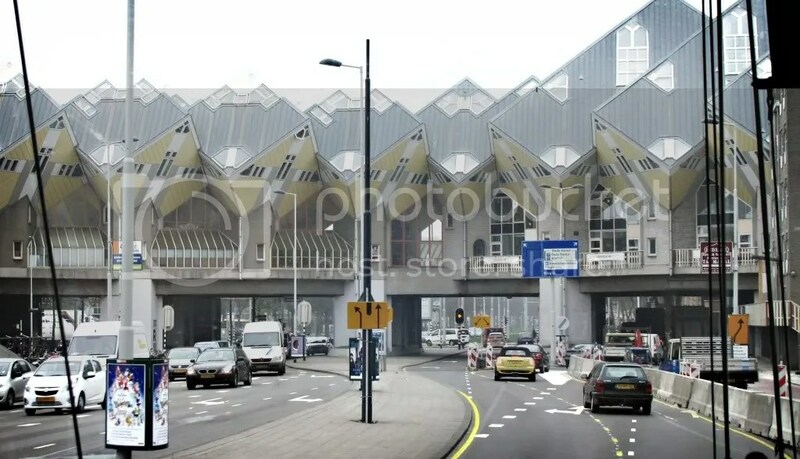 It’s a sad story, but, even so, without historical center, Rotterdam is a wonderful city. Even if the center is packed with modern buildings, the architecture is amazing. You should not imagine cubic skyscrapers with no style, no, the modern buildings are a witness of the architects creation. Some of them are in my following photos, some are for you to see when decide to visit Rotterdam. It’s a special experience that I recommend you to try. 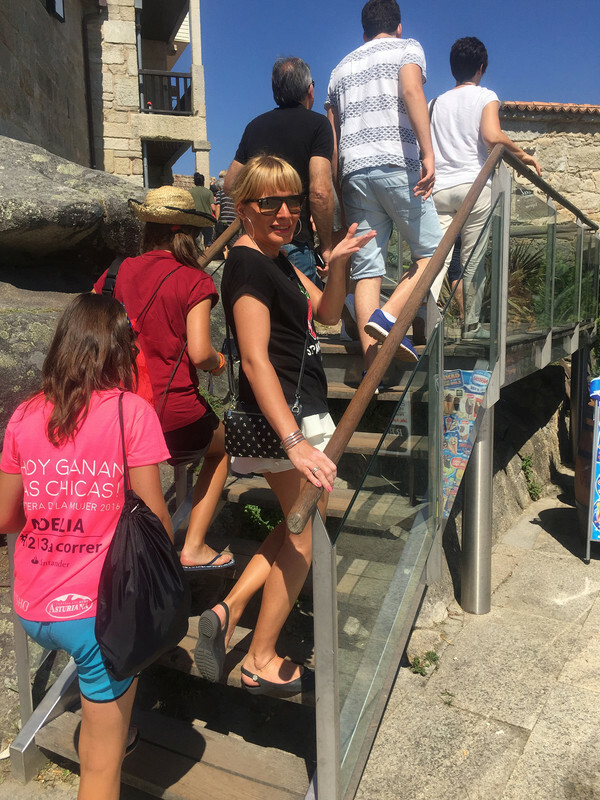 The harbor is also impressive… and if you are lucky to have a weather like I had there, well, you’ll taste a little of the North sailors life. Interesting again, but not something to live with. Too rough.